Most respondents to the resident parking zone survey said permits should be free, but if approved they will cost £60 for the first permit, and £100 for the second car. Six new resident parking zones could be created each year on the Isle of Wight. Residents across the Island could soon be able to apply for permit-only parking zones on their streets. A consultation into resident parking zones has been completed by the Isle of Wight Council with 67 per cent agreeing with the scoring system for prioritising potential permit-only roads. Once finalised, the guidance will set out the process to request a resident parking scheme, the criteria for establishing the demand and ensuring that zones only proceed where they will deliver a benefit for residents. The policy has been recommended for approval by the Isle of Wight Council cabinet and could see a dedicated staff member responsible for creating six zones a year, charging £60 for the first permit, and £100 for the second car. Under the new policy, residents would be able to apply for a parking zone if 80 per cent of kerbside space is occupied at peak times and if no more than 50 per cent of people on the street have a driveway or garage. Respondents to the survey said permits should be restricted (56 per cent) to one per vehicle, with most feeling that permits should be free, or under £50. Newport Parish Council wrote to the council over the plans, and stated a preference for a zonal approach for all Newport residential streets within half a mile of St Thomas’ Square, and a bespoke approach for Carisbrooke. The issue will be debated by the council’s scrutiny committee on 11th September and will go before the cabinet for approval on 13th September (being held in Brading). 10 Comments on "Six new Isle of Wight resident parking zones per annum could become reality"
I understand the frustration, but we are an island community. 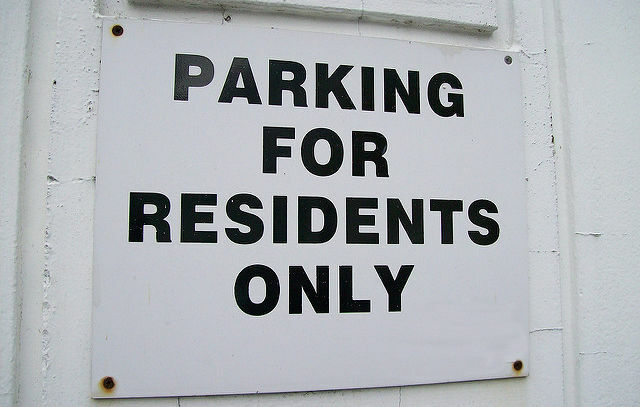 Summer aside, it is mostly other island residents who will be without a place to park. I don’t want a signal to ‘stay in your town’ to be out there, but rather ‘enjoy the isle’. Removing out of season car park charges (such as at Apley) would be a start. How is it possible that I can live in a resident permit zone AND be a current permit holder, and not be contacted or even made aware of any consultation? I doubt the credibility of the consultation, and suggest it’s probably worth contesting it. As someone who represents an area of Newport blighted by commuter parking, but with a long-stay car park two-thirds empty, I drew attention to the consultation in my regular newsletter, hand-delivered to every household. Geoff, I don’t live in your ward so wasn’t able to read about it. I would appreciate if you could raise the point I have made however, as the outcome suggests that resident permits will cost more in all areas, not just Newport. The consultation should therefore have been much broader and I would expect all permit holders across the Island to have been contacted. The quality of consultation by the IWC across the Island is out of my control as an opposition councillor. What I wanted to show was that individual councillors can improve it in their areas. Ask your councillor what they do to ensure important consultations are publicised locally. Regrettably this is a situation that can only get worse while money grabbing developers are given carte blanche to build even more houses on an Island which is already overcrowded and lacks the infrastructure to accept more migrants from the North Island.